There’s a terrific scene in the 1995 Brady Bunch Movie when father Mike Brady tells his family “Put on your Sunday best, kids. We’re going to Sears!” The titular family loads up the station wagon, all smiles and singing, to the local Sears, even taking a ride on the escalator. Recalling that scene hit me a little bit like a gut punch earlier this year when I visited (for the last time) our local Sears which closed forever at the end of March. By this point, the store was pretty much gutted with not much left other than back office supplies, a few shelves and the ugliest of ugly clothes. I noticed, tellingly, the escalator to the second floor was roped off and shut down. What brand lessons can banks and credit unions learn from Sears? Plenty. There is no brand big enough to not fail. Up until 1989, Sears was the largest retailer in the United States (when it was passed by Walmart). Size is no indicator of brand invulnerability. 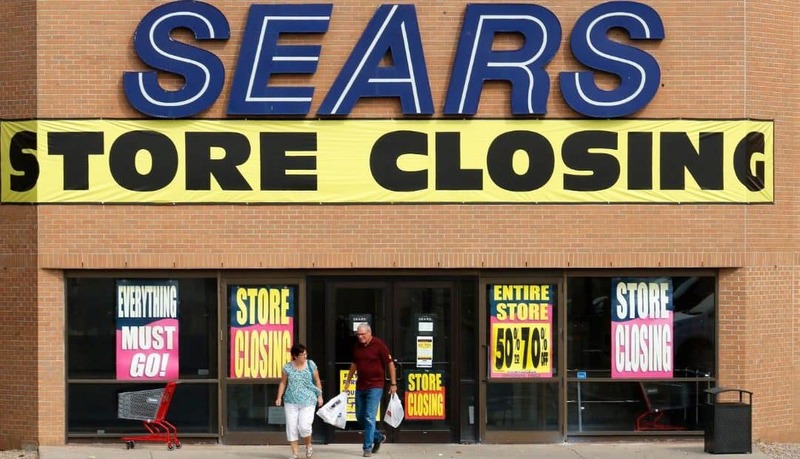 In the relatively short 30 years since 1989, the fall of Sears is nothing less than steep. There is no brand old enough to not fail. Originally founded in 1893 as a mail-order catalog outfit before moving into brick-and-mortar retail in 1925, Sears currently enjoys a 126-year run. Longevity is no indicator of brand invulnerability. While its future is not set in stone, entering its 127th year is no guarantee for the beleaguered retail outlet. There is no brand endeared enough to not fail. Like predecessors in extinction Blockbuster and RadioShack, Sears was once a firmly established and instantly recognizable brand. Just because consumers love you one day does not mean they always will. Consumer loyalty is something your bank or credit union must earn every day and never take for granted. While there are many market factors in play affecting the downfall of Sears, one simply cannot ignore the impact of brand in the process. Levels of customer service at Sears declined over the decades, and in fact customer satisfaction ratings reached an all-time low in 2018 (along with Walmart). It lost touch with key components of its overall brand such as DieHard, Craftsman and Kenmore. It took risks outside its core brand with significant negative impacts (such as the Kmart merger). All in all, it’s fair to say the once-dominant Sears brand lost touch with itself. It may have taken over a century, but the end is here. No bank or credit union can afford to make the same mistakes and survive. Focus on brand is critical. Otherwise, you may as well start putting price tags on your old brochure racks and switch the escalator to “off” forever.